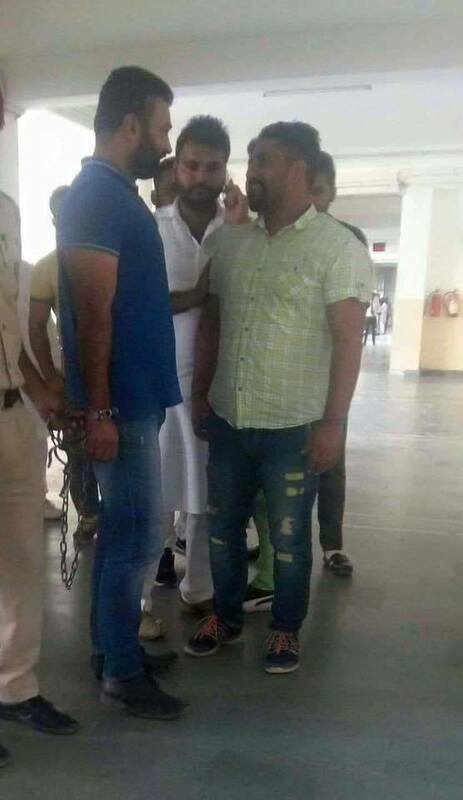 Bathinda: The Bathinda district police on Tuesday (October 31) arrested Malwa Youth Federation chief Lakhbir Singh alias Lakha Sidhana in relation to case registered for smudging Hindi and English signboards on the BathindaFaridkot road. The smudging boards was part of protest against marginalisation of the Punjabi language on road-side sign boards affixed on NHAI highways. Senior superintendent of police Navin Singla said a case under Prevention of Damage to Public and Property Act was registered against Malwa Youth Federation leader Lakhbir Singh Lakha Sidhana, Dal Khalsa’s senior vice-president Hardeep Singh and more than 50 unidentified persons. The cases were registered after activists of the federation, Dal Khalsa, SAD (Amritsar) and BKU (Krantikari) smudged signboards on the 20km stretch of the NH-15 on the BathindaFaridkot road on October 21. Speaking to the Sikh Siyasat News (SSN) over phone Bhai Hardeep Singh condemned the move of Amarinder Singh led Congress government in Punjab. He said that the Punjab government and the Punjab police were trying to create fear psychosis by registering the case and by holding police raids.